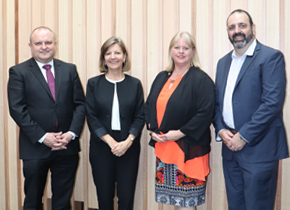 Federation University Australia will embark on a major re-development at its Berwick Campus following a $40.7 million injection from the Federal Government. The University has been investing in the Campus since early 2017 and a new phase, approved by the University Council this week, sets out an ambitious works program for 2019 to 2022 to accommodate increased student numbers. “This new funding package will allow FedUni to make a significant investment in the Berwick Campus to ensure we provide the best possible learning and teaching environment with new laboratories and teaching spaces for our students,” Professor Helen Bartlett, Vice-Chancellor and President, said. FedUni received the highest amount of funds under the regional universities funding allocation. “This is a great endorsement of the University and its capacity to engage with its local communities, to listen and deliver courses, facilities and graduate outcomes for the Berwick community and beyond. “Jason Wood, Federal Member for La Trobe, was instrumental in advocating for the Berwick Campus and wholeheartedly supporting the University’s vision,” she said. · A third Nursing Clinical Learning Environment (CLE) to support increased nursing student enrolments. · An additional Science Laboratory to expand science teaching capabilities at the campus. · Additional academic, technical and professional staff work areas to accommodate projected increase in staffing. · Expanded library and learning support areas to incorporate additional learning spaces for increased student numbers and provide for emerging research student work area.